Tara Natural Medicine, a naturopathic family practice, was founded in 1999 in Concord, California by Dr. Tara Levy. In October 2010 Tara Natural Medicine moved to Lafayette, and in December 2015 we moved to our current location in Piedmont, California. Dr. Lutrin and Dr. Korza joined the practice in Piedmont, allowing us to reach more patients throughout the east bay. 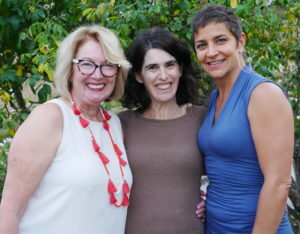 Dr. Levy, Dr. Korza, and Dr. Lutrin provide high quality natural medicine care for people of all ages and conditions. Doctors are available in Piedmont Monday-Friday — see specific hours for each doctor below. To contact the office, or schedule an appointment with either of the doctors, call 925-949-8604 or e-mail the front office.